The quickest way to launch the cyber equivalent of a nuclear war is for the targets of cyberattacks to try to “hack back” against their tormentors. The debate over that has raged for decades, with a majority of security experts arguing that the difficulties of attribution and the dangers of escalating retaliatory counterattacks make hacking back a losing proposition. But what if it didn’t involve trying to corrupt or destroy an attacker’s network? What if it wasn’t exactly “kinder,” but was a bit “gentler,” involving intermediate-level responses like so-called “naming and shaming” of perpetrators, or blocking access to U.S. markets of foreign companies that benefit from cyber espionage? 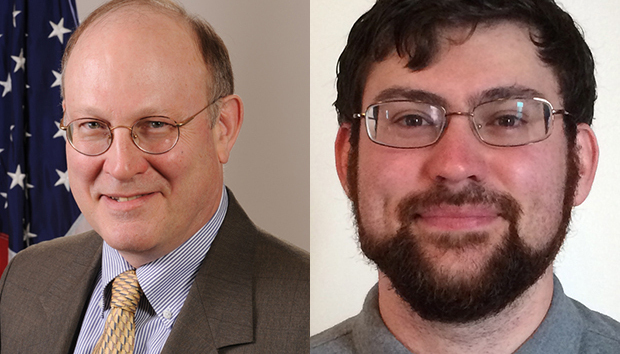 A recent paper by father and son, Jeremy and Ariel Rabkin, titled "Hacking Back Without Cracking Up," seeks to make that case – that it is not only possible to hack back (what some call taking “active defense” measures) without prompting a catastrophic cycle of retaliation, but necessary given that annual losses to American businesses from criminal hacking were estimated at $100 billion two years ago and has increased since then. They cite former National Security Agency (NSA) head Gen. Keith Alexander’s declaration in 2012 that the cybertheft of U.S. intellectual property is, "the largest transfer of wealth in world history," as evidence that the status quo is unacceptable. Even more compelling, they say, is that government has not demonstrated the ability to protect private-sector intellectual property. The father and son go to considerable lengths to distance themselves from supporting lawless, Wild West-type counterattacks by proposing that the response be done not by the victims, but by hired professionals – forensic cyber experts with government-approved law enforcement certification, so the retaliation will be measured and much more likely to be against the actual perpetrator. They cite the cybersecurity firms CrowdStrike and Mandiant, which in 2014 “outed” different hacking groups affiliated with China’s People’s Liberation Army. The senior Rabkin, a professor at George Mason School of Law, and his son, a software engineer at Cloudera, liken it to a retail store hiring security guards, who have some law enforcement authority against shoplifting or other criminal acts. In a podcast interview with Stewart Baker, former NSA general counsel, former assistant secretary for policy at the Department of Homeland Security (DHS) and now a partner at Steptoe & Johnson (and an outspoken hacking back advocate), they argued that merely exposing perpetrators could be an effective deterrent – perhaps even spur the federal government to more aggressive action. “If a company could say, “We know who’s doing this. Here are their names and addresses. By the way, here’s his sister, his girlfriend, here’s his mother – you now have all this information and you put it on a website. I think it would be harder for government to shrug this off in the way that it has,” he said. You might say this isn’t going to have a big effect on China or Russia or Iran, but it’s worthwhile if it just raises the profile of these concerns to the government. The two say that besides exposing foreign hackers’ personal information, the U.S. government could take other measures short of cyber retaliation – denying travel permits, denying access to the U.S. banking system, imposing commercial sanctions on firms that do business with the hackers or even suing companies that get trade secrets from hackers. They say they know their proposal is not a “panacea,” but they say it is a starting point. The timing of their paper is interesting, to say the least, since it was published by the Hoover Institution about a month before Wikileaks published a trove of emails from the Democratic National Committee (DNC) – an event that has even outspoken opponents of hacking back calling for the U.S. government to impose some kind of retribution against the hackers who stole the documents. Russian hackers are widely suspected, although that is still being debated. Whoever did it, hacking back opponents like Bruce Schneier, CTO of Resilient Systems, have called for retaliation. In a blog post, Schneier called it, “an attack against our democracy,” and said the U.S. should confront the perpetrators and, “make clear that we will not tolerate this kind of interference by any government.” He did not specify how he thought the U.S. should make it clear. However, calling for government to retaliate against a state-sponsored attack is not an endorsement of the private sector doing the same thing, even at a “moderate” level. Dmitri Alperovitch, cofounder and CTO of CrowdStrike, even though his firm’s outing of a Chinese hacking group was cited in the Rabkins’ paper as an example of what they advocate, was brief and blunt. “CrowdStrike does not hack back and does not support such activities,” he said. CrowdStrike does not hack back and does not support such activities. Beyond that, he said the “cycle of active defense” involves the use of threat intelligence, asset identification and network monitoring, incident response and threat and environmental manipulation. He likened it to ICBM defense, where the goal is to destroy missiles, not people or cities. Ariel Rabkin, in an interview, said while he agrees that good architecture improves security, the reality is that it would be very expensive to fix the security flaws in large systems. But Anthony Di Bello, director of strategic partnerships at Guidance Software, said he thinks it is both infeasible and very risky to “deputize” expert civilian security vendors to hack back against suspected attackers. He acknowledged that the U.S. government has accused hostile nation states (China, North Korea, Iran) of specific attacks, but said he doesn’t think the private sector has that kind of capability, and should not be given law enforcement powers. And he said the escalation risks from hacking back don’t need to be violent to be damaging. “It could result in strained trade relations, disrupt other political negotiations that are ongoing or introduce a lack of trust in technology that my country exports,” he said. He agreed that government should do more to deal with cyber crime, but said he still believes that, as is the case with other types of crime, private citizens can’t take the law into their own hands. “If I found evidence that a specific person broke into my house yesterday, am I able to go to that individual’s place of residence and take action? No. I must engage the relevant law enforcement agency,” he said.